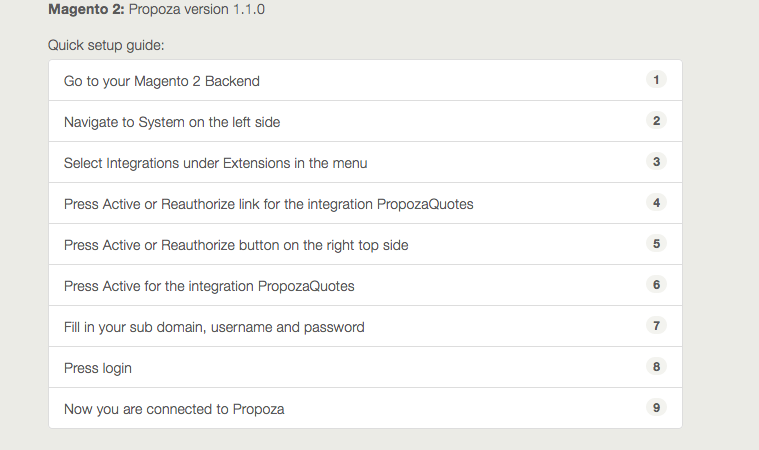 It’s been a while since we did one of these blog posts and a lot of features have been added to Propoza in the meantime. But, most importantly, we added a new subscription plan! As a lot of our customers will have noticed by now, we have introduced a new plan called Plus. This is our most extensive plan up till now and the one that offers almost complete control over your quotes. You can also now edit quotes in new ways: Add or remove products from user requested quotes and even create quotes from the Propoza backend, offering your customers a specialised quote has never been this easy before! If you want to see if the Plus plan fits your companies needs, feel free to give us a message on our support page. A preview is presented at the end of these release notes! 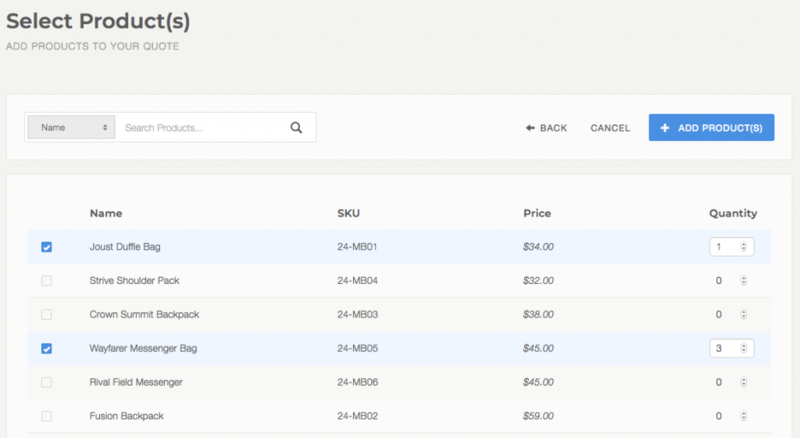 Quick quote has been added, this functionality allows a client to quickly select a single product for quoting, perfect for stores that make mostly single sales. This functionality is available in the Propoza webshop settings, under translations the buttons and quick quote texts can be translated/changed. 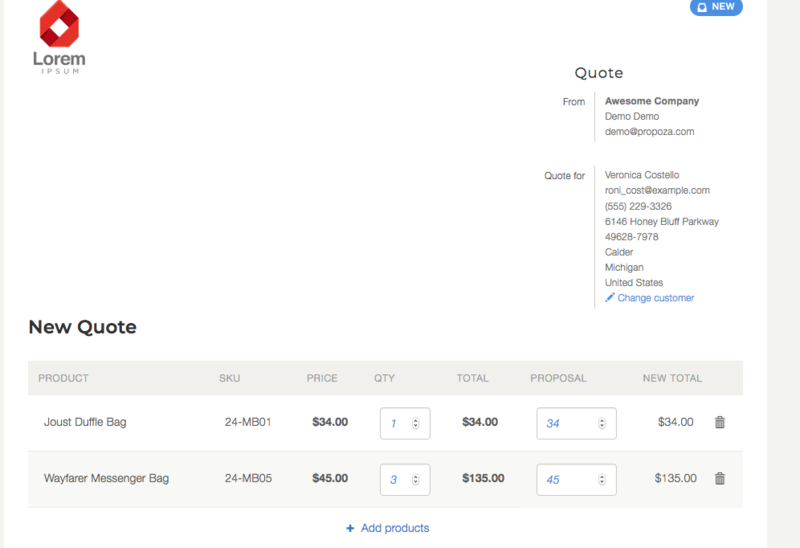 (For Plus users only) A quote can now be edited in new ways, you can add or remove products from quotes and even increase the price on products! 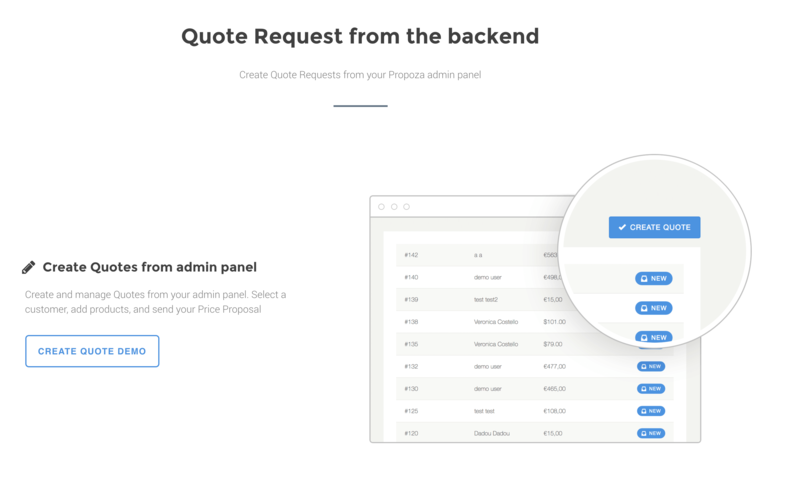 Request a quote is now available from the mini cart (Woocommerce and Magento 2), in a later update we released an option to disable this feature in Woocommerce in accordance with your requests. A dashboard that gives insight into how many quotes are requested and how much revenue they are making you. If you are interested in creating a quote, this is the place to be. In this preview we will showcase how create a quote can be used in the Propoza backend. To enable create a quote you should first be part of our new Plus subscription plan, next navigate to Settings > Webshop Settings and enable advanced proposal functionality. Now follow the instructions that correspond with your platform . If you feel the need to remove a product or add additional products, press the garbage bin or the Add a product bar respectively. 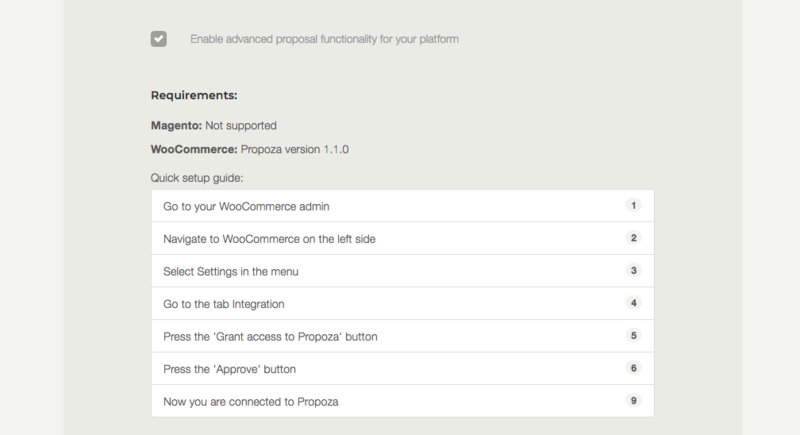 Finally, you can press the create proposal button and then send the quote to your customer, like normal. From this step onwards the process is like it has always been, if you are new to Propoza and are interested in these functionalities try out our trial. All functionalities are enabled during this 15 day period like you are using our Plus plan. We have a brand new subscription plan offering you new and exciting functionalities like creating a quote from the Propoza backend. We’ve also pointed out all the features we’ve implemented in the last few months, and given a small showcase of our newest feature, backend create a quote. We hope you are all as excited as we are about getting these features to you and we will continue to work hard so that you will love Propoza as much as we do.